Free July 4th Short Story – Limited Time only! Although hockey is over for another season, following a dramatic and exciting Stanley Cup, you can feed your hockey hunger with your favourite players from the NJ Ice Cats. Especially as I’m offering a free download of my July 4th short story — A Perfect Contest — for a limited time. Secret crushes … unfinished business! The last thing Ally Finnon wants is to strut her stuff in a swimsuit and patriotic head-dress for the annual Miss Firecracker contest. But she’ll lose her job if she doesn’t. The last thing recently divorced, Ice Cats’ forward, Jordan ‘Match’ Matcheson, wants is to interrupt his summer break and judge a beauty contest. But he drew the short straw, literally. Could this finally be the chance for the former high school friends to get together and make sparks fly? To get your free short story, simply go to the For Readers section of my website and click on the gorgeous cover. This promotion will only be around for the next few days, so don’t delay! Happy summer (or winter to those Down Under) and Happy Reading! This entry was posted in News and tagged A Perfect Contest, free download, Free Read, Goodreads giveaway, hockey romance, Ice Cats, Ice Cats Shorts, New Jersey Ice Cats, New Jersey Ice Cats series, NJ Ice Cats, short stories on July 2, 2018 by annasudgen. Free July 4th NJ Ice Cats Short Story! Summer weather is here and the last two teams standing are about to fight it out for the 2018 Stanley Cup. Sadly, My NJ Devils aren’t still in the running – though they had a fabulous season. I know they’ll do even better next year! It’s the perfect time of year for a summer-themed short story. So, I thought I’d give you all a special treat and offer you a FREE copy of A Perfect Contest, my July 4th NJ Ice Cats short story. It’s only available for a limited time, so be sure to download your copy now! Remember, it’s only available for a limited time, so be sure to download your copy now! This entry was posted in For Readers and tagged A Perfect Contest, free download, Free Read, hockey romance, Ice Cats, Ice Cats Shorts, New Jersey Ice Cats, New Jersey Ice Cats series, NJ Ice Cats, short stories on May 27, 2018 by annasudgen. Now that the Stanley Cup has been awarded, hockey fans have a long wait through the summer until the puck drops again on the new NHL season. Roll on October! In the meantime, it’s a good time to catch up on hockey romances. Some lovely readers and fans of the NJ Ice Cats have asked to see a holiday-themed short story for July 4th. Always happy to please, I wrote one for you. So, here it is … A Perfect Contest … and it’s FREE for you to download during July! Remember, this is only free during July, so download it before it’s gone! This entry was posted in For Readers and tagged A Perfect Contest, free download, Free Read, hockey romance, Ice Cats, Ice Cats Shorts, New Jersey Ice Cats, New Jersey Ice Cats series, NJ Ice Cats, short stories on June 30, 2017 by annasudgen. New NJ Ice Cats Short Story! Exciting news this month, starting with a new NJ Ice Cats‘ short story! A while back, I asked on my Facebook page (which, of course, you all have liked … if not here’s the link <g>) which holidays you would like to see a short story for. Top of the list was July 4th. Always happy to fulfill my lovely readers’ requests, I set about coming up with a suitable short story to ease the hockey drought of the summer months. 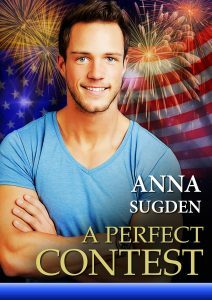 Make sure you hop over to my For Readers’ section and download your FREE copy of A Perfect Contest. Remember it will only be available during July! Stay tuned for more NJ Ice Cats’ short stories coming soon. In other news – look what arrived recently! 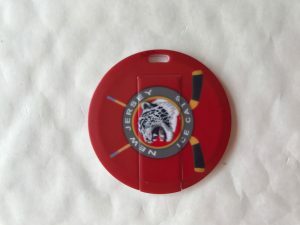 Puck-shaped, NJ Ice Cats’ flash drives – perfect for giving away my short stories to lucky winners! Stay tuned – I’ll be doing a ‘Bored Without Hockey’ summer giveaway of several of these shortly! Many thanks to USB Memory Direct who made these beauties for me. 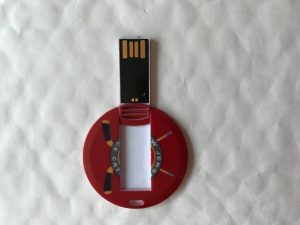 Check out their website for more fabulous, personalisable, promotional flashdrives – www.usbmemorydirect.com. This entry was posted in News and tagged A Perfect Contest, free download, Free Read, hockey romance, Ice Cats, Ice Cats Shorts, New Jersey Ice Cats, New Jersey Ice Cats series, NJ Ice Cats, short stories on June 30, 2017 by annasudgen.